When Babies Feel Heard - How Do Babies Express Themselves? From birth, needs, wishes, and intentions are expressed in sounds and body movements. Actually, even in utero, the way a fetus moves around in different ways demonstrates to the pregnant mother her baby-to-be has a beginning temperament. How Do Mothers Respond to Their Babies? Once born or adopted, many parents naturally respond by cooing and making funny expressive faces right back at their tiny tots. Oogling conversations take place. Other parents see babies as mysteries. Do they have minds? Do they think? Do they feel anything except wet, tired and hungry? When your dry, well-fed, well-rested infant coos and smiles, something else is going on. She wants to be heard! Why Would A Baby Feel Dispair? Babies who coo happily and persistently but find no response from expressionless mothers, drop their heads in despair. They try as hard as they can to animate their mother, but eventually give up. In contrast, infants whose sounds are responded to in return promptly gaze into their mother's eyes and smile. Motherese is the sing-song language of parents who cheerfully make ready contact with their happy babies. How Long Can Babies Wait for a Response? Four-month-old Clara sits in her infant seat staring at the light overhead. Her mom watches her then calls out her name, "Clara. Clara. What's happening?" Clara's eyes swiftly turn from the light that attracted her to the sound of her mother's voice. She's known that sound since she was in utero and it's her favorite. She coos merrily. Four-month-old Dale is settled in his crib. He's well-fed and rested. His arms and legs start moving about quickly. "Aaah. Ah goo. Ma. Ma. Ma. Ga. Ga. Ga." He repeats these sounds over and over with a grunt here and there. After five minutes his pitch increases. Is anybody listening? His sounds start to have a frantic tone. Ten minutes pass. He quiets. He tries again. "Dah. Dah. Coo. Coo. Ach. Ach." He cries loudly. His mother's in the kitchen with the TV blaring. Is anybody listening? But when his mother comes in to check on him, she immediately picks him up. She hadn't known he awakened. She rocks and sings to him. He is shaken but can be reassured. What Makes a Baby Anxious? What Makes a Baby Secure? Both babies are heard but the timing is different. How quickly each four-month-old needs to be responded to depends on the infant. Fifteen minutes was much too long for Dale. If this happened all the time, he could become an anxious baby. He needs more regular, immediate responses to feel recognized, cared for, and heard. For a secure attachment, babies need regular responses--not perfect to-the-second responses every time--but predictable, recurrent moments with a reacting, warm, reasonably effusive caregiver. Some babies like a gushing, noisy mom or dad; others a more quiet, soft-spoken one, but they all need to feel heard. 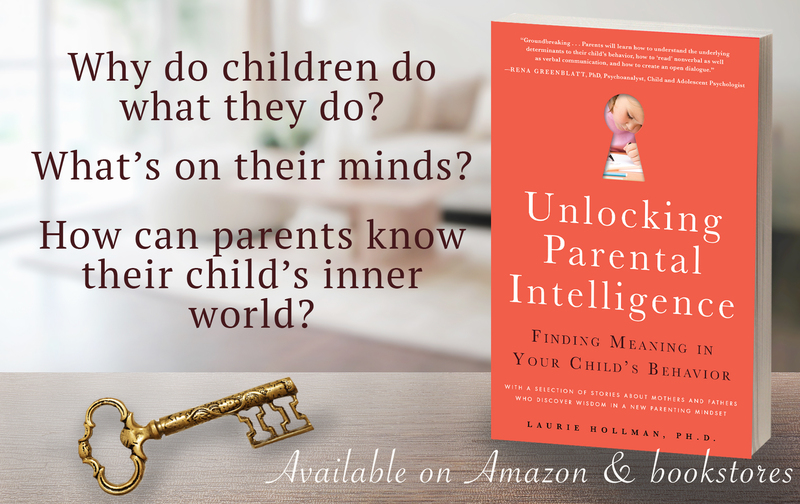 Laurie Hollman, Ph.D., is a psychoanalyst and author of Unlocking Parental Intelligence: Finding Meaning in Your Child's Behavior found on Amazon, Barnes and Noble, Familius, and wherever books are sold.